I come from a place that’s pretty big on horror-esque urban legends. As such, I was really hopeful for this series. I love urban legends and myths and supernatural phenomena. Did Another live up to my extremely high expectations? Check out what I have to say below, but be aware that I’ll be talking about spoilers for the entire series. I’ve got a big thing for aesthetics. The art doesn’t have to be top-tier, as long as it looks good, in my opinion. Unfortunately, Another didn’t quite hit what I was expecting. It was really high-quality and nice looking, don’t get me wrong, but the faces looked a bit off. Eyes were too big for a dark, serious narrative like this. It’s a minor quip, but a quip none-the-less. I eventually got used to it, but I feel like a slightly more realistic style might have helped. As far as the music goes, it was hit or miss. Everything was pretty good, but not terribly noticeable, with the exception of the OP. They were trying to make it out to be Mirai Nikki as opposed to Higurashi. A slow, moderately creepy piece would have worked much better. Ending theme wasn’t too bad, but lack of the lyrics makes context kind of a pain to decipher. The video seemed out of place, though. It was far too sunshine and happy for a series that had characters dropping like flies. Speaking of the narrative, it was a hell of a ride. I’m all kinds of satisfied after watching it. Everything was incredibly tense and nerve-wracking, which is what I look for in horror. Don’t just give me jump scares like a creepy face and a scream, give me a reason to be nervous all throughout the thing. My only real problem with the story is that Mei’s ‘doll eye’ seemed kind of forced. I get that we needed some way for them to find out who the dead person is and that it gave her an air of mystery until she took off the eyepatch, but… I don’t know, I feel like the supernatural elements should have been kept to the pseudo-antagonist that was the calamity. Also, the beach episode would have been a great opportunity for the writers to troll us. Like with the watermelon at the beginning, make us think someone has died horribly, but don’t actually kill anyone off. Give us a false sense of security for an episode, then hit us with something big rather than the guy we just met getting slaughtered by a boat (after dying from an asthma attack or whatever). I can’t finish up the story part of these impressions without talking about the last episodes. It threw the suspense and slow-building horror out the window for an explosion of a bodycount and a building. To quote GoodbyeNavi from a comment on Deluscar’s review, ” It was like a dam bursting with an overflow of emotions, angst, anger, frustration, fear.” This guy said it far better than I could. If you’ve ever been stressed or pissed or afraid to the point of just exploding, then the final few episodes feel so incredibly real. Major, major props to them for that. I particularly liked how it portrayed mob mentality, as well. Once the secret of how to stop the calamity was out, everyone turned against the person they thought was responsible. The reveal at the end, that someone unexpected was the dead one, was interesting. Definitely unexpected. I honestly thought it was the artistic kid, myself. Now, I could go on all day about this show, but nobody wants to read a thousand or so words. So I’m going to go ahead and wrap it up with a few final thoughts about a handful of really well-done scenes and my half-assed attempt at reading into symbolism. Remember when Akazawa was killed off? Suspiciously crucifixion-like pose, especially considering that she thought she was – essentially – acting like a savior to the rest of the people by being head of countermeasures. Was she misguided toward the end? Hell yes, butshe thought that killing Misaki would stop everything. It was a sort of breaking point; she seemed to realize that she was wrong moments before her death. Also, I really like how they handled the final cellphone scene where Sakakibara called Misaki. The flames rising up after each ring really helped with the urgency of it all. Anyhoo, I would definitely recommend this to anyone who is a fan of stuff like Higurashi. If you like slow-building horror, definitely check it out. If you happen to enjoy lots of gruesome murder and psychological stuff, also give it a shot. It is well worth your time. Anyway, that’s me done for the day. As always, thanks for reading and have a good’un. 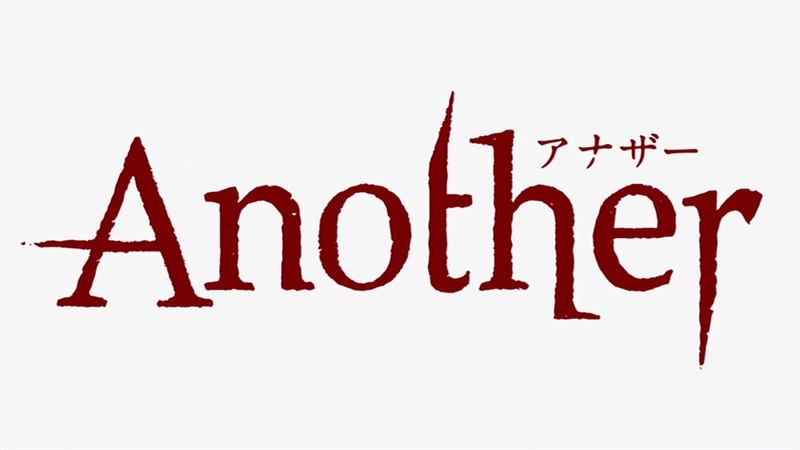 This entry was posted in Anime and Manga, Review and tagged Another anime, another anime review, another final impressions, horror anime, thriller anime. Bookmark the permalink.